New Jersey was facing a government shutdown last weekend! But as things were, it’s not only Gov. Murphy’s Democratic cabinet that faced a closure but Monmouth Park too. And all of this dues to the state inability to deliver clear regulations. Indeed, Monmouth Park along with other racetrack and their patrons directed their anger at the state in a recent press release. They claim they got caught in the middle of a political tug of war. What’s more, is that it’s one they never intended to fight, anyway! In short, a law from 2008 grants racetracks and casinos a seven days’ grace period after a shutdown. So that they can continue operating, under an exceptional and temporary framework. Yet Gov. Murphy, who was fighting hard to pass the state budget, made a surprising U-turn it seems. Indeed, his office sent letters to all racetracks with somewhat questionable content. In fact, the letter said they all failed to inform the government in due time about their will to remain open after a shutdown. Even if existing documents show the reality was different! Indeed, on Feb 5, Monmouth Park wrote a letter to the NJ Racing Commission. They informed the state about their will, and they confirmed they wanted to keep their doors open after any government shutdown. “It makes you feel like a pawn on a chessboard, in a game I do not want to play.” Resumed Dennis Drazin, CEO of Darby Development. Gov. 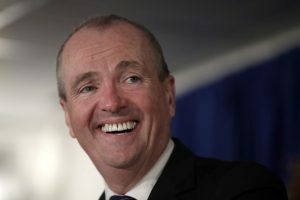 Murphy was seeking to gain leverage over Senate President Steve Sweeney in the budget war. And this move only showed that Murphy had a good card in his hand. But, ironically, it was the same man who only two weeks ago placed a sports bet on the same racetrack. And doing so he announced the legalization of the activity in the Garden State. And yet threaten to close it due to a budget dispute.